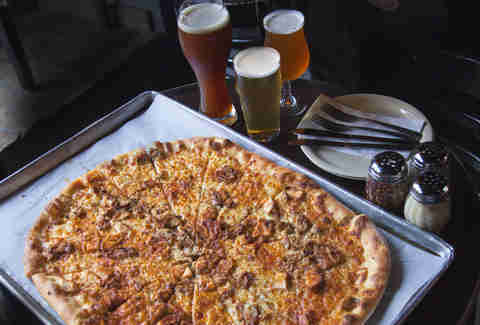 Pizzas by Girl & Goat, Hot Doug’s, and Honey Butter: Today Only. No Joke. 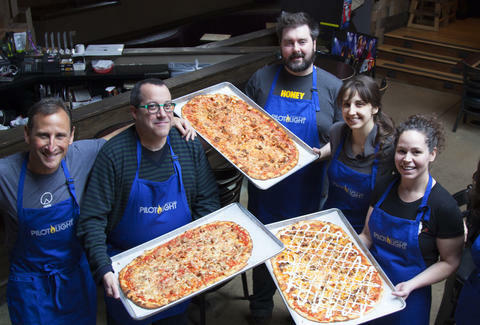 Today, Piece in Wicker Park has assembled a glorious triumvirate of local celebrity pizza makers for their Atomic Goat Fried Chicken Pizza Day. Just how glorious, you ask? Well, it’s going to feature specialties like Honey Butter Fried Chicken pizza, Stephanie Izard’s Little Goat pizza and Hot Doug’s Atomic Pizza. The event is a celebration of Piece’s specialty pizza collaborations for the year benefitting children’s culinary education charity Pilot Light and is going down ONE DAY ONLY. 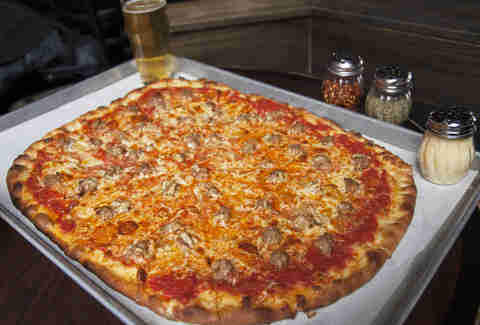 There is talk of bringing back these pizzas “in some form for the first three months of 2016.” But you don’t really want to take that risk, do you? And no, this is not an April Fools' joke. We checked. Jay Gentile is Thrillist's Chicago Editor and will not be made a fool of this April Fools'Day by anyone other than himself. Follow him @ThrillistChi.